When your door system breaks down, it can be a major problem. There are a huge number of that can develop over time – luckily, our team of technicians has years of experience and training to get things solved quickly. We promise we won’t keep you waiting – we have a stock of replacement parts ready and can troubleshoot any related problems. If your door moves slowly, unreliably, or makes a lot of noise, this may point to a problem with the opener. Since this unit is responsible for handling all the safety features of your door, it’s essential to have any potential issues thoroughly investigated. One common problem is circuit board malfunction - this can cause a wide variety of issues, and can be very difficult to diagnose. Our team will quickly pinpoint the issue and arrange for a replacement board to be fitted, restoring your door to optimum working condition. Your door cables are another essential component, and one that’s often overlooked. If they begin to fray they can quickly become dangerously weakened, so it’s crucial to regularly check for any signs of damage. The warning signs may not be obvious, so we strongly recommend that homeowners schedule checkups with our maintenance team to ensure no underlying damage gets missed. A door that’s jumped off its tracks won’t move, which is naturally likely to be a huge inconvenience. To get your door operating properly again, this problem will need to be fixed quickly - our team will work hard to ensure your door gets back to working order as soon as we can. Our team carries all the necessary tools to reshape your tracks if they have become bent, and we’ll also check the tracks for any signs of dents or wear. 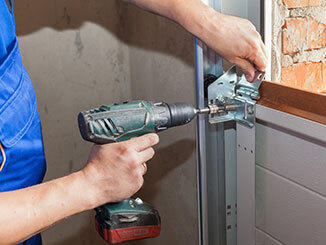 If you need your door fixed urgently, we’re the team to help you. Even if it's an emergency, just arrange an appointment with our team at Garage Door Repair Wilmette and we'll get to you as soon as we can.